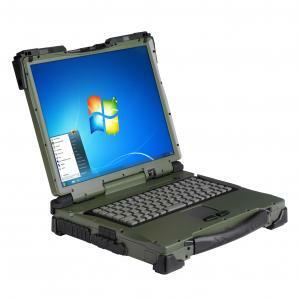 The Rocky RK9 rugged computer is designed from the inside out to perform in the most extreme conditions over the long haul. With its Intel Core2 Duo processor, up to 8GB of SDRAM and an NVIDIA graphics card, you get impressive computing performance with a long lifecycle. The Rocky RK9 can be customized down to the smallest detail to create the smartest solution for your needs. We can even carry out a special development project to help you create a truly unique solution.